Meghan Markle wore a stack of three rings by Canadian jeweller Ecksand, which sparked speculation of her baby’s birthstone. The fans guessed that the ring Duchess of Sussex might be having an April birth. A royal watcher was hoping the pregnant Duchess’ stacked rings represented their birthstones and Baby Sussex is an April baby. 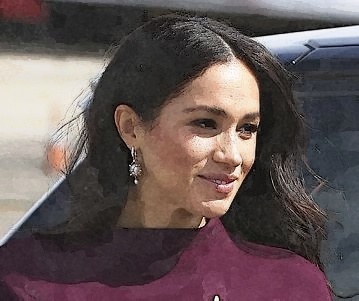 The ring included emerald, which looked similar to the green peridot as a Meghan Markle’s birthstone, the diamond as Baby Sussex birthstone and blue sapphire as Prince Harry. Meanwhile, Meghan and Prince Harry left Australia in their whirlwind tour. The Duchess of Sussex showed the 22 dresses and 14 pairs of shoes. When the couple left for New Zealand, the 37-year-old royal chose a high neck, a three-quarter sleeve of midi Burgundy dress with a detachable belt.